In a matter of days, five of Texas’ eight legal abortion providers will operate under the Planned Parenthood banner, a special irony in light of state lawmakers’ professed hatred for the provider. In a matter of days, five of Texas’ eight legal abortion providers will operate under the Planned Parenthood banner, a special irony in light of state lawmakers’ professed hatred for the provider. Above, a poster hangs in the waiting room of Whole Woman's San Antonio, an independent abortion provider in Texas. UPDATE, August 29, 2014: Three days before Texas’ HB 2 was set to force all abortion providers to meet the standards of ambulatory surgical center regulations, a federal judge enjoined the law, calling it “unconstitutional because it imposes an undue burden on the right of women throughout Texas to seek a pre-viability abortion.” The State of Texas immediately appealed the ruling to the Fifth Circuit Court of Appeals, which could stay the lower court’s injunction at any time. Until that happens, Texas abortion providers who do not meet ASC standards will be legally allowed to keep their doors open. Andrea Grimes tours one of Texas’ last remaining abortion clinics, as providers across the state prepare to close their doors in advance of a new law requiring medically unnecessary build-outs to already safe, legal abortion facilities. September 1, 2014: eight legal abortion facilities are open in Texas, all in the state’s largest metropolitan areas; more than half are Planned Parenthood facilities. The GOP, the party meant to champion the small business owner, has, thanks to the passage of an omnibus bill obliterating access to abortion throughout the state, ensured that the estimated eight million or so Texans of reproductive age who could potentially need abortion care are less likely than ever to receive their comprehensive health services from a small, independent abortion provider. Now, rewind to May 2013: more than 40 legal abortion clinics provide services from windswept West Texas to the fertile Rio Grande Valley to the piney woods of East Texas, and Texans who support reproductive rights are told that there has been some “concession” in the ongoing battle over who can provide abortion care in the state. As the 2013 regular legislative session winds to an end, anti-choice Republicans and their anti-choice Democrat supporters make the promise not to enact new abortion legislation, as long as their pro-choice colleagues don’t get too mouthy. Anti-choice conservatives agree to attempt to restore some of the $73.4 million in family planning funds they’d cut in 2011, when right-wing lawmakers went on a crusade against Planned Parenthood’s participation in providing publicly funded contraception and cancer screenings to low-income Texans. That could help mitigate the loss of $163 million in savings the state suffered after its decimation of public family planning dollars. “[Planned Parenthood is] closing clinics because they make all their money taking the lives of babies,” Patrick claims in a May 2014 debate, repeating the anti-Planned Parenthood battle cry that has, over the past several years, helped him become an anti-choice superstar in the eyes of the state’s conservative base. And yet, thanks to the efforts of lawmakers like Dan Patrick, Planned Parenthood has rallied donor support to enable the provider’s Texas affiliates to open not one but two new legal, abortion-providing ambulatory surgical centers in Texas as smaller providers are forced to close their doors. While it’s true that some Planned Parenthood clinics did close after family planning funds were slashed in 2011, and some Planned Parenthood clinics did provide abortion care, none of the Planned Parenthood providers that once received public funds performed abortion care. The majority of the Texas clinics that closed in the wake of funding cuts—more than 70, in total, shut their doors—were non-abortion-providing clinics unaffiliated with Planned Parenthood. It is as if right-wing lawmakers have deliberately engineered a new reality to fit the fantasy they’d been trying to sell voters for years. In 2011, they claimed that Planned Parenthood was a massive, abortion-providing behemoth dominating the Texas family planning landscape, while in fact, Planned Parenthood provided a variety of family planning services, mostly contraception and cancer screenings, particularly in rural and suburban areas and to tens of thousands of low-income Texans. In September 2014—just over a year after Texas abortion providers were told they could relax, that they had nothing at all to worry about—more than 30 providers, most of them independent clinics with no Planned Parenthood affiliation, will be forced to close, leaving eight legal abortion providers open in the state. Why? Because mere weeks after legislators touted their great harmonious compromise on family planning care, conservative lawmakers jammed an omnibus anti-abortion access bill through in a series of special legislative sessions. All that talk about concession went out the window when Gov. Rick Perry opened up the capitol doors to the bill that would become known as HB 2. That bill, famously filibustered in committee by Texas residents and later on the state senate floor by Wendy Davis, ultimately passed on June 13, 2013. It does four things: severely limits the prescription of medication abortions, bans abortion after 20 weeks, requires abortion-providing doctors to have local hospital admitting privileges, and—in its most restrictive provision—mandates that legal abortion facilities operate as hospital-like ambulatory surgical centers (ASCs). Mainstream medical groups like the American Congress of Obstetricians and Gynecologists and the Texas Medical Association opposed HB 2, calling it medically unnecessary and, in some cases, saying that it could put people who seek legal abortion care at increased risk of complications. It is HB 2’s final provision, which requires abortion-providing family planning clinics to make medically unnecessary million-dollar modifications to their buildings if they want to continue to provide legal abortion services, that goes into effect September 1, barring intervention from a federal court. That means that in a matter of days, five of Texas’ eight legal abortion providers will operate under the Planned Parenthood banner, a special irony in light of state lawmakers’ professed hatred for the provider. “Mom and pop” abortion facilities, as independent abortion providers occasionally referred to their businesses in interviews with Rewire, don’t have the mass brand recognition and donor base that Planned Parenthood enjoys. As a result, state lawmakers who worked themselves into a froth over the nationwide family planning provider three years ago have created a situation in which Texans are more likely than ever to have no other option but to go to Planned Parenthood for legal abortion care. From a safety perspective, that’s not a problem: Legal abortion is a tremendously safe and common outpatient procedure, whether it is provided in a Planned Parenthood facility or an independently owned clinic. One in three women, trans*, or queer people who can become pregnant will have an abortion in their lifetime. Legal, induced abortion is fourteen times safer than childbirth. The difference is that where once Texans could experience a kind of choice within the choice, calling various abortion clinics to compare pricing, or location, for example, HB 2’s restrictions more or less force abortion-seeking Texans to go to the nearest legal provider, or pay to drive, take a bus, or fly hundreds of miles to the next closest ambulatory surgical center. Of course, those with means could always travel out of state to their provider of choice, and those without means may continue to explore illegal, less effective, and potentially less safe options for ending their pregnancies—something that was already not unheard-of in places like the Rio Grande Valley, where border pharmacists sell abortion-inducing ulcer medication, and herbal alleged-abortifacients are also available. But for those who can and will seek legal abortion care in Texas, cost and location could have been just some of the variables, back when at least some Texans had the ability to choose the doctor who would provide their abortion: different abortion providers offer a variety of counseling processes, have different rules for allowing partners or friends to accompany patients through their procedures, and some provide aftercare with a personal touch. And while regulations like those in HB 2 are not unique to Texas, no other state’s lawmakers have been able to so successfully pass so many TRAP (targeted regulation of abortion provider) provisions, affecting so many people, all at once. Texas abortion providers of all stripes have, over the past year, struggled to comply with HB 2. Some, like Planned Parenthood, have been able to rally enough angry supporters to raise money—potentially millions of dollars—to build new facilities that comply with HB 2’s medically unnecessary requirements. Indeed, in a summer 2014 statement praising “generous support” from donors, Planned Parenthood of Greater Texas’ Ken Lambrecht announced the coming opening of a new abortion-providing ASC in Dallas, and the launch of a patient assistance fund to help Texans travel to Dallas for care. Smaller clinic groups and individual providers, however, have not been so fortunate. Amy Hagstrom Miller, whose Whole Woman’s Health organization once ran five clinics in Texas, testified in federal court in August that she has struggled to obtain bank loans for building new million-dollar facilities and has been turned away from lease agreements with existing ASCs whose owners are leery of dealing with an influx of anti-choice protesters on their sidewalks, or whose facility leases include specific anti-abortion (and anti-vasectomy, and anti-tubal ligation) covenants. Whole Woman’s now has just two locations in Texas: a licensed abortion facility in Fort Worth that must stop providing abortion care on September 1, and an ambulatory surgical center and licensed abortion facility in one complex in San Antonio. The ultimate result—apart from the drastically diminished availability of legal abortion care in Texas—has been to force providers to, perhaps unduly, focus on compliance with a law that at least one Texas lawmaker has admitted was expressly intended to close clinics, rather than on the positive patient experience many have spent years, even decades, building. In San Antonio, Whole Woman’s corporate vice president Andrea Ferrigno took me on a tour of their two-facility space: a small, purple-tinted clinic that feels like a cozy gynecologist’s office, and a fluorescent-lit surgical center with two icy operating rooms. In the first facility—where Whole Woman’s used to provide legal abortion care but which they now use for state-mandated ultrasounds and pre-abortion counseling—each room is named for a famous woman from history or fiction: Gloria, Rigoberta, even Wonder Woman. “Mood lighting,” as Ferrigno described it, seeps out from light-diffusing lamps. 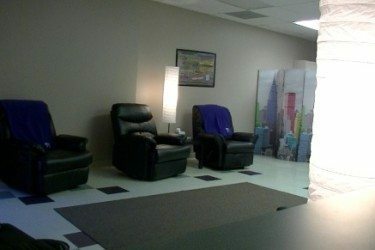 The Whole Woman’s San Antonio licensed abortion clinic recovery room features recliners and hot tea, for a “living-room” style feel, according to Andrea Ferrigno. The ASC recovery room, in contrast, features stretchers and pre-packaged snacks. In these rooms, the Whole Woman’s staff counsels patients through a process that, Ferrigno says, everyone understands and experiences differently. In years past, patients had been able to keep on much of their own clothing during abortion procedures performed in cozy exam rooms with inspirational quotes written on the walls. They would then walk themselves down a short hallway to a sunny room filled with cushy recliners and fuzzy fleece blankets, where Whole Woman’s served a special herbal tea developed especially for their group in Austin. Patients’ partners, friends, mothers, sisters, or other supporters could join them in the recovery room for a short sojourn. But now that they’re performing procedures in the ASC—a facility that Hagstrom Miller acquired so that she could provide legal abortion care after 16 weeks, as previously required by Texas law before the coming requirements of HB 2 would shift all legal abortion care into ASCs, regardless of the gestation of pregnancy—the word “anxiety” seems to come up more often, said Ferrigno. Operating rooms at the Whole Woman’s ASC in San Antonio change almost nothing about how a legal abortion procedure is performed, medically speaking, but the bright lights and increased staff members often have an anxiety-inducing effect on patients. In the ASC, regulations don’t allow patients to walk on their own from the operating room to recovery. They must constantly be trailed by staffers who dress and undress them. They are lifted from the operating table to a stretcher, said Ferrigno, like something you might see on ER. They’re counseled behind curtains rather than closed doors. In recovery, when everyone’s wearing hospital gowns and laying on hospital-style stretchers, it’s more difficult to invite partners and friends to join patients after their procedures. There’s no herbal tea, no feeling of relaxing in a friend’s living room. Everything feels more medical, more sterile, more intimidating. “In terms of their physical experience, the actual performance of the procedure, it doesn’t change,” she said. The early trimester abortion procedures that could have once been performed in the smaller clinic are just as safe in either location, even with the mild or medium sedation that some patients prefer. It is as if the state of Texas seems hell-bent on ensuring that people who seek abortion care here jump through as many hoops, and feel as much anxiety and stigma, as possible. Stigma and anxiety are two things that abortion providers, especially small and independent abortion providers, have been working to combat since the procedure became legal more than 40 years ago. Taft, a founding member of a group that became known as the “November Gang,” after its foundation in November 1989, has been working in abortion care for decades. In the 1980s, she began developing a counseling process tailored to women who wanted a more emotion-centered approach to working through their feelings about their abortion procedures. Many independent clinics have taken on models of counseling similar to what Taft developed. “We wanted to make sure that this was not just a health care process that you sign on the bottom line and then you get whisked away and you don’t know what’s going on,” said Taft. And while not every patient needs or wants that kind of counseling process, its availability can make all the difference to those who do. Taft praised Whole Woman’s in particular as a place where multiple kinds of emotional needs could be met under one roof. A Whole Woman’s staffer privately counsels every patient who receives services at their center, covering options that range from abortion, to adoption to parenting. After their private consultation, patients are invited to bring partners, friends or relatives who will support them through their decision-making process into the counseling room to discuss their process. Taft lamented the idea that Texans might now have no ability to seek out that abortion provider with a “philosophy” that feels right for them. It’s important to note that not all independent providers have been committed to or offer this same model of care, and many larger corporate providers—like Planned Parenthood—do extensive counseling with patients who need it. One reproductive health-care researcher Rewire spoke to was careful to observe that both the “best and the worst” of abortion care models have been represented in the independent sector. But in Texas, HB 2 has forced all legal abortion providers, regardless of any larger corporate affiliation, to move to a highly medicalized, potentially anxiety-inducing model that dictates not just where abortions are performed, but how many patients feel may about their procedures. And patients themselves, who may or may not have ever been aware that they had a choice between, say, a Planned Parenthood or a Whole Woman’s-type establishment, are today less likely than ever to be able to have access to the type of legal abortion care—with attendant counseling and personalization—that is right for them. 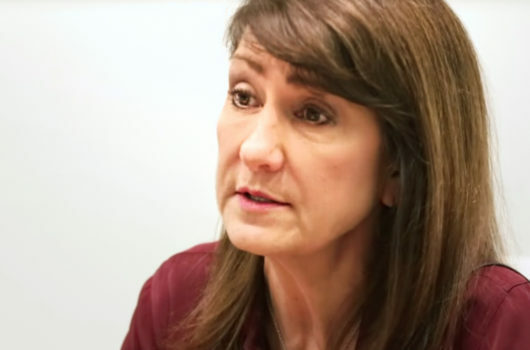 But with the increased media attention around HB 2, she said she’s now aware—when she wouldn’t have been previously—of the wide variety of abortion care models that could have been available to her, and which will not necessarily be available to her should she ever need abortion care again. “Now knowing that there are some options,” she said, would prompt her to “do some research” on different providers. The catch is that as of Monday, there will be just one legal abortion provider open in Austin—a Planned Parenthood surgical center. And whether smaller providers will be able to compete with corporate facilities after HB 2 goes into full effect remains to be seen. While some reproductive health-care providers that Rewire spoke to for this story expressed frustration over Planned Parenthood opening new facilities in cities where independent ASCs already exist—a potential threat to the sustainability of independent providers with less name recognition and a smaller capacity—the reality is that while Planned Parenthood is more than capable of raising a great deal of money for new facilities, its doctors have the same difficulties obtaining hospital admitting privileges in deeply conservative areas that independent provider doctors have encountered. That’s why, according to Planned Parenthood South Texas’ Mara Posada, the affiliate decided to work on opening a new ASC in San Antonio, rather than in Rio Grande Valley, where there are no legal abortion providers whatsoever. “Expanding abortion services to new areas such as the Rio Grande Valley is something we will consider in the future,” Posada told Rewire via email. “Before even discussing this possibility, we would need to find a solution to the admitting privileges difficulty that led to the closures of two abortion providers in the Valley,” she said, referencing the McAllen Whole Woman’s facility and a Harlingen abortion provider that closed after doctors there could find no local hospital willing to sponsor them for admitting privileges. Even with a reduced post-HB 2 abortion rate in Texas, around 60,000 abortion procedures are performed annually, and only the best-funded, best-equipped, best-supported providers may be able to keep up with the increased patient load that will soon be shared among a handful of legal abortion facilities in major cities. My friend and I talked about what we might do if either of us needed a legal abortion. She worried that there might be angry protesters outside the clinic in Austin, and talked about flying to New York City or Seattle, where she might be able to stay with friends and sidestep a 24-hour waiting period. Would the abortion provider we could access take our health insurance? If not, could we get more affordable procedures in Houston or Dallas—but would that cost be offset by the price of a hotel room or gas? And we—white women living in a major metropolitan area—are the most fortunate ones, to even be able to consider having our conversation in the first place. I thought of the warmth I’d experienced when visiting Whole Woman’s clinics in McAllen, Beaumont, and Austin to do interviews or take photographs for a story. I imagined myself driving to San Antonio, staying overnight to fulfill the 24-hour waiting period between a state-mandated ultrasound and a procedure. I imagined myself walking by the protesters I’ve already encountered on the street outside the Whole Woman’s San Antonio, the protesters who screamed and yelled at me, assuring me they could “help” me, even when I told them I wasn’t pregnant—after which, a moment of levity: “They’ve got birth control in there!” one warned me ominously. But there is nothing funny about what is to come, as low-income Texans, especially Texans of color and trans* and queer folks who already experience difficulty accessing high-quality, comprehensive reproductive health care, struggle to travel hundreds of miles to the state’s remaining legal abortion providers. Dozens of clinics across Texas, in Corpus Christi, Harlingen, McAllen, Killeen, Waco, Midland, Lubbock, Odessa, College Station, and Beaumont have already closed. In a few days, the remaining non-ambulatory surgical centers in El Paso, Fort Worth, Dallas, Houston, and Austin will be forced to stop providing legal abortion care. On September 1, an estimated 1.3 million Texans will live farther than 100 miles from a county with a legal abortion provider. Then, when there are eight legal abortion providers serving eight million or so potentially pregnancy-capable Texans, those of us who have the means to travel, and who can obtain appointments at overloaded clinics, who can afford child care for our existing children and buy bus tickets or gas cards, will relinquish a choice within a choice, and simply attempt to go where we must.